EUROPA HURDLE: Everton face a tricky test in getting past Hajduk Split in order to advance to the Europa League group stages. Breathe… the Ruzomberok game is over. It can be consigned to memory. Those looks that went from ‘come on we’ll be fine’ to frustrated, due to an inability to put the Slovakians to the sword made for an uncomfortable third round qualifier. One more hurdle to navigate now, before the promised land of the Europa League group stages for Ronald Koeman’s side, for the first time since 2014-15. However, that hurdle promises to be even trickier than Ruzomberok, and an early acid test for Koeman’s developing side, in the form of Croatian club Hajduk Split. Hajduk Split are a team consistently associated with European football, a million miles away from a continental heavyweight, but a well-known face in qualifying circles. They will provide a tougher technical test than Ruzomberok, but more important will be the mental barrier to be broken for younger players in the intimidating atmosphere at the Stadion Poljud. 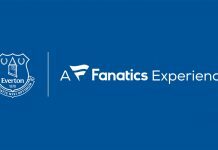 Everton will host the Croatian side at Goodison Park in the first leg on August 17, before travelling for the return leg on August 24 and they will want to go with a firm lead. The narrow 1-0 advantage taken to Ruzomberok only served to increase the pressure on the players, and whilst the Slovakians posed a limited threat, the longer Everton went without dealing a hammer blow, the chance of an upset increased. The Hajduk fans have gained themselves a real reputation as an intimidating and loud army, they will make it noisy, difficult and pressurise Everton in any way possible. If this is transmitted onto the pitch then Everton’s task will be made even more difficult as the Croatian side will make use of their vociferous support. In this scenario, Everton’s experienced heads will be invaluable to Koeman and none more so than Wayne Rooney. Rooney’s return to Everton was on the rhetoric of the experience, quality, and the big game nous he can bring. 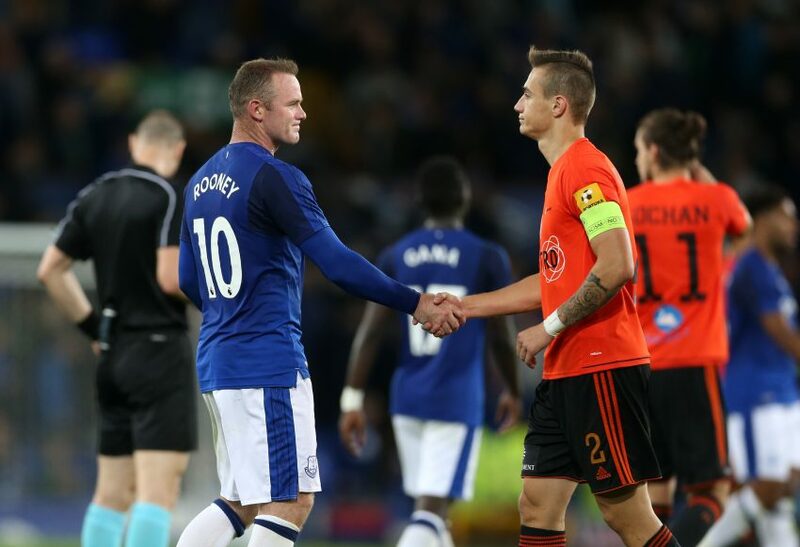 If Everton find themselves under the cosh at any stage, even if the result is going their way, the responsibility will fall on Rooney to talk to the younger players. Tell them to pick their battles, not respond to provocation, manage the game and keep the referee on side. 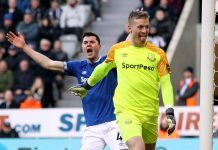 Rooney’s role will focus on Dominic Calvert-Lewin and Sandro Ramirez, while Phil Jagielka and Leighton Baines will look to use their experience to help Michael Keane and Jordan Pickford find their feet in European competition. This could also potentially be a game for Gareth Barry, who is perfectly capable of keeping Everton’s midfield functioning, particularly if Hajduk enjoy spells of dominance. 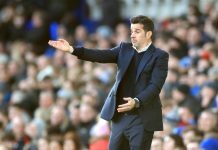 There is plenty of evidence that Hajduk will cause Everton concern if the Blues are not in ruthless mood. The key man for them will be Hungarian international Marko Futacs, formerly of Leicester City. Futacs has finally settled at Hajduk, having enjoyed unsuccessful spells in England, Hungary and Turkey, and he finished as top scorer in the Croatian first division last season with 18 goals. Despite Hajduk finishing well off the pace behind Dinamo Zagreb and HNK Rijeka last season, Futacs was a cut above. Everton will be keeping an eye on his fitness after he was withdrawn injured in their defeat to Dinamo Zagreb, their first loss this season. He will miss their league game against Slaven on Friday as they look to give him every opportunity to play against Everton. Other than Futacs, Hajduk Split boss Joan Carrillo will have a few other key men to call on against the Toffees. Ante Erceg already has three goals in Europa League qualification this season, he will play in an attacking midfield role, just behind Futacs, and Everton will have to ensure he is deprived of space. Left back Borja Lopez signed at the start of this season from the Barcelona B side. He has been a useful addition who likes to overlap and supply crosses to Futacs, and Davies/Calvert-Lewin/Klaassen or whoever is deployed on the right will need to track him. Overall, Everton should negotiate this tie, despite the difficult environment they will face. The cliché of tougher tests lying ahead rings very true for this, but the Split leg will need calm heads and youngsters to make their mark.